At the Chicago Mercantile Exchange, it was another record down day for nonfat dry milk. The rest of the dairy markets were mostly steady or higher. The exception was the December Class III milk futures which closed down $.10 at $15.51. January milk was up $.20 closing at $14.70. February was up $.14 at $14.50. March was up $.07 closing at $14.52. The rest of the 2018 milk futures were all up. Grade AA Butter closed up $.0475 at $2.26. Thirteen carloads of butter were sold ranging from $2.24 to $2.26. Barrels were unchanged for a second straight day at $1.67. Eleven carloads of barrels traded between $1.67 and $1.6725. 40-pound blocks closed up $.0750 at $1.53. New Zealand’s Fonterra said on Wednesday it reduced its farmgate milk price forecast for the 2017/18 season by NZ$0.35 to NZ$6.40 ($4.42) per kg of milk solids, citing volatility in the global dairy market. Fonterra also cut its fiscal 2018 earnings forecast to a range of 35 cents to 45 cents per share from an earlier provided range of 45 cents to 55 cents per share. Prices for milk fat are soaring and you can thank consumers worldwide for it. In June last year, butter prices on the Global Dairy Trade auction hovered about US$3000/tonne; the last auction on May 16 saw butter price reach nearly US$5500/t. Anhydrous milk fat fetched US$3500/t in June last year; this month AMF fetched US$6600 on GDT. BNZ economist Doug Steel says the high price of milk fat is due to supply and demand issues: dietary changes mean more consumers are eating butter. “Fat isn’t seen as the bad thing it once was,” Steel told Dairy News. While whole milk powder is the main driver of the payout, higher AMF and butter prices further lifted the forecast payout. Former Fonterra director Mark Townshend says it is great news for all dairy farmers that milk fat prices are strong. “Currently the net value of fat going into butter is roughly double the value of protein going into skim milk powder (SMP); this is a bit of an aberration, and fat will come back a bit and protein go up a bit in the future. According to Townshend, 1kg of milk solids (MS) is roughly 55% fat and 45% protein; a good MS price needs good fat and protein prices. Townshend notes that 20 years ago some industry leaders were suggesting the value of fat would be 10% of protein price, but they were proven wrong. 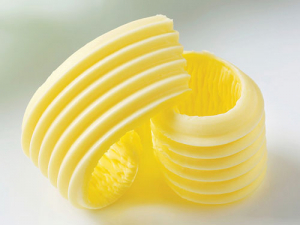 “Butter is now seen as a better option that margarine from a nutritional perspective… and sugar, not healthy fats, is seen as the primary villain in the obesity challenge. “While fat is worth twice as much as protein today, what would be a reasonable assumption for the future? Only historians will get this right, but equal value for both protein and fat sort-of feels right, understanding that at some times there will be volatility in component relativity. Fonterra chairman John Wilson says the co-op has always paid for fats and proteins. “The payment for fat will be increasing relative to [prices] over the last couple of years. This is very carefully calculated; the price farmers get for the components of milk – fat and protein – is based on what market prices are, calculated on a three year rolling average. Wilson says the co-op runs its plants efficiently and gets maximum utilisation based on where prices are now. And it has spent a lot on food service and UHT cream plant, all of it helping boost food service sales over the last 18 months. “This is a critical part of the story as well,” Wilson says. Strong demand for butter and AMF “reflects the understanding that the medical advice of three decades ago was flawed,” he says. Dairy fat is “seen to be a valuable part of our diet, as recognised by scientists and food experts globally, and consumers are demanding it”. Class III milk futures at the Chicago Mercantile Exchange were mixed with the most active months down on profit taking. June was $.04 lower at $16.66, July was down $.14 at $17.12, August was $.17 lower at $17.35, and September was down $.13 at $17.42. Cash cheese blocks were $.0075 lower at $1.7375. One load was sold at $1.7475. The last uncovered offer was for one load at $1.7375. Barrels were down $.0125 at $1.5325. The last unfilled bid was on two loads at $1.51. The last uncovered offer was for one load at $1.5325. Butter was unchanged at $2.41. Three loads were sold, two at $2.41 and one at $2.42. The last unfilled bid was on one load at $2.41. The last uncovered offer was for one load at $2.4125. Nonfat dry milk was down $.005 at $.95. Four loads were sold, including two at $.95. The last unfilled bid was on one load, also at $.95. The last uncovered offer was for one load at $.96. Class III milk futures Monday closed higher at the Chicago Mercantile Exchange. March was a penny higher at $15.83/cwt; April up a penny at $15.00; May was .03 higher at $15.29; and June was up .02 at 15.72. July through December futures were .01 to .04 higher. Cash cheese barrels were two cents lower, at $1.37; cheese blocks were a half-penny higher at $1.44 ½. Nonfat dry grade A milk was steady at 82 cents and Grade AA butter was a quarter-cent higher at $2.10. Cooperatives Working Together (CWT) has accepted 21 requests for export assistance from member cooperatives that have contracts to sell 2.381 million pounds (1,088 metric tons) of Cheddar and Monterey Jack cheeses plus 52,360 pounds (23.75 metric tons) of butter to customers in Asia and Oceania. The product has been contracted for delivery in the period from March through June 2017. So far this year, CWT has assisted member cooperatives who have contracts to sell 21.483 million pounds of American-type cheeses, and 1.427 million pounds of butter (82% milkfat) to 12 countries on four continents. The sales are the equivalent of 207.252 million pounds of milk on a milkfat basis. Class III milk futures at the Chicago Mercantile Exchange were mostly higher, with the most active months seeing a slight bounce from the recent losses. January was up $.01 at $16.75, February was $.01 higher at $16.58, March was up $.06 at $17.04, and April was $.06 higher at $17.34. Cash cheese blocks were up $.005 at $1.645. The last unfilled bid was on one load at $1.645. Barrels were down $.0125 at $1.4475. There was one load sold at $1.4475, along with one at $1.45. The last unfiled bid was on one load at $1.42. The last uncovered offer was for one load at $1.46. Butter was $.0125 lower at $2.185. There was one load sold at $2.18. The last unfilled bid was on one load at $2.185. The last uncovered offer was for one load at $2.20. Nonfat dry milk was down $.05 at $.935. There were a total of four loads sold, two at $.96, one at $.95, and one at $.935. The last unfilled bid was on one load at $.93. The last uncovered offer was for one load at $.9425. In Class III trade at the Chicago Mercantile Exchange, milk futures were lower, pressured by demand uncertainties and technical selling. January was down $.01 at $16.78, February was $.12 lower at $16.91, March was down $.18 at $17.28, and April was $.15 lower at $17.46. Cash cheese was lower. Blocks were down $.0125 at $1.6925. There were three trades reported, including one at $1.6925. Barrels were $.0275 lower at $1.61. There were five loads sold, ranging from $1.57 to $1.61. Butter was unchanged at $2.24. Nonfat dry milk was up $.005 at $1.0375. There were six loads sold, including two at $1.02 and one at $1.0375. The last unfilled bid was on one load at $1.03. The last uncovered offer was for one load at $1.04. Cooperatives Working Together announced the acceptance of two requests from member coops for export assistance on 51,809 pounds of Cheddar cheese and 220,462 pounds of butter. The products are headed to Asia and the Middle East with delivery scheduled for January through April. A lapse in U.S. cheese consumption increases during the first half of this year had a serious impact on milk prices and dairy industry profitability. Consumer demand for cheese during the first half of the year normally holds steady at levels seen at the end of the prior year and then improves in the second half of the year. American-type cheese consumption declines during the first half but is offset by increased consumption of Italian-type cheeses. During the first half of 2016, even Italian-type cheese consumption declined. Cheese consumption during the summer and fall quarters of 2016 was on track to post quarter-to-quarter increases, which resulted in milk prices increasing by 20% from the lows of the spring quarter. Weak domestic demand for cheese coincided with a surplus in world milk production relative to global usage. Milk powder prices in Europe and Oceania were at their lows last spring, similar to the U.S. This limited the ability of the U.S. to export surplus milk production in the form of powder to other parts of the world. Since that time, milk production in Australia and New Zealand has declined, helping to lift international dairy prices and improving prospects for U.S. milk powder sales overseas. U.S. non-fat dry milk prices averaged below 80 cents per pound during the first half of the year, but were able to reach the $1 mark as 2016 came to a close. U.S. milk powder export volumes were down 20% from a year earlier during the spring quarter but should top year ago levels during the second half of this year by 10%-15%. Cheese production during the first nine months of the year was up 2%-3% compared to 2015’s. As consumption lagged, inventories of cheese in cold storage accumulated to record high levels. With the rebound in 950 1000 1050 1100 1150 1200 1250 1300 JAN MAR MAY JUL SEP NOV Mil. Pounds TOTAL CHEESE IN COLD STORAGE End of the Month Avg. 2010‐14 2015 2016 Data Source: USDA/NASS cheese consumption in recent months, cheese inventories in cold storage have been reduced, and as of the end of November were only up 3% from twelve months earlier, but down 5%-10% (depending on the type of cheese) from the highest levels earlier this year. Cheddar cheese prices reached their lowest values, near $1.30 per pound last May, but should average above $1.70 for 2017’s first quarter as the lower inventories support values. The lower inventories should also provide price support during the first half of 2017, helping to keep the “all farm” milk price near $17 per cwt. This would not have been possible in the absence of better cheese demand that would have left cheese inventories (cold storage) at much higher levels. Milk producers have responded to the rising prices with more milk. The milk cow herd increased 4,000 cows from October to November, compared to a 2,000 cow increase in November 2015 and contrary to expectations calling for a decline a few months earlier. Milk cow productivity is also sprinting higher, up more than 2% per cow compared to twelve months earlier. That’s an increase in per cow production; last spring was only up 1% year-over-year. In the hog/pork markets, three key items during the fourth quarter of 2016 are well worth reviewing. First, the Quarterly Hogs and Pigs report from USDA’s National Agricultural Statistics Service (NASS) showed 2% more market hogs than anticipated. That will translate into larger hog slaughter than earlier forecast well into 2017. Further, the overall breeding herd as of December 1, 2016 was a bit larger than anticipated. Regarding prices, on the positive side were recent trends in both frozen pork stocks and export trends. As of December 1st (NASS report released December 23, 2016), the total number of hogs in the U.S. was estimated based on surveys at 71.5 million head, an increase of 3.7% year-over-year and the largest ever. The number of market hogs was 4.0% (about 2.5 million head) above one year earlier, while the breeding herd grew by 1.0%. The larger than anticipated number of market hogs was caused by a jump, compared to expectations, in the number of sows farrowed from September-November. Also, the number of pigs born per litter continued to increase on-trend. The monthly NASS Cold Storage report (released December 23, 2016) showed that at the end of November frozen pork stocks were down month-over-month (falling 13%) and year-over-year (dropping 7%). Very large hog slaughter occurred in both October and November and the concern was that frozen tonnage was where product was going. But that was clearly not the situation. In fact, declining stocks given record large production in several weeks last fall was a positive surprise. Overall, frozen pork stocks are not burdensome. Weekly whole muscle pork product export tonnage data from USDA’s Foreign Agriculture Service had been indicating the U.S. pork exports were doing better than a year ago during late 2016. That situation was confirmed in recent official monthly export data. In fact, exports exceeded expectations. In October and November U.S port export tonnage (carcass weight basis) was 9% and 18% above a year ago levels, respectively. November’s export tonnage was nearly 510 million pounds on a carcass weight basis, which was the largest month ever. LMIC currently forecasts U.S. commercial pork production in 2017 will be just over 25.6 billion pounds, up in the range of 2% to 4% year-over-year and record large. Even with a rather good export demand profile hog prices are forecast to be a bit below 2016’s throughout the first three quarters of 2017. New hog packing plants opening in the fourth quarter should provide increased competition for animals to harvest and process, which could pull hog prices above 2016’s late in the calendar year. Huge frozen stocks of lamb and mutton overhung the U.S. market since the summer of 2014. To put those stocks in context, consistently beginning in 2014 the frozen tonnage exceeded one full quarter’s worth of U.S. commercial production. But, that picture has changed, finally. Frozen tonnage in commercial facilities is provided monthly in the NASS Cold Storage report, the latest data were as of the end of November 2016. NASS does not break-out the source or type of lamb and mutton, but indications were that much of the huge stockpile was imported product. As of the end of November, frozen lamb and mutton was reported to be down 51% from a year ago and declined 26% month-over-month. Stocks have been declining in each NASS report since the end of July 2016. That is an important market adjustment and may indicate some improvement in consumer demand during late 2016. Futures market trading is pointing to a mild improvement in dairy prices at this week’s GlobalDairyTrade auction after a surprisingly weak start to the year. Whole milk powder prices look likely to improve a little after dropping 7.7 per cent at the previous sale in what was later seen as a rebalancing between the main products on offer. In the big picture, analysts said the likelihood of continued declines in world production would remain supportive for prices this year. Karl Arns, dairy futures broker at OM Financial, said the first sale of 2017 on January 4 – which saw prices overall fall by 3.9 per cent – was looking like an aberration. “We certainly expect the result to be positive,” he said. “The exact amount of the improvement is uncertain but something around 2 to 4 per cent (for whole milk powder) looks likely,” he said. Dairy HQ analyst Susan Kilsby also expects to see a small improvement. In Class III trade at the Chicago Mercantile Exchange, milk futures were mostly higher on spread trade and follow through buying. January was steady at $16.62, February was up $.15 at $17.14, March was $.20 higher at $17.29, and April was up $.23 at $17.41. Cash cheese blocks were unchanged at $1.67. Barrels held at $1.575. The last unfilled bid was on four loads at $1.565. Butter was up $.08 at $2.30. There were a total of four trades, one at $2.26, two at $2.28, and one at $2.30. The last uncovered offer was for one load at $2.35. Nonfat dry milk was down $.035 at $1.0175, backing down from the recent 15 month highs. There was one load sold at $1.02 and one at $1.0175. The last unfilled bid was on one load at $1.015. 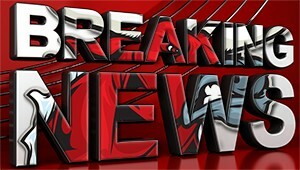 The last uncovered offer was for one load at $1.0275. The UK’s average farmgate price exceeded 25p/litre in November 2016 for the first time since March 2015, according to the latest Defra figures. In the five months to November 2016, UK average farmgate prices rose by 28.42% to 25.62p/litre, 5.9% (1.43p/litre) up on the same month a year ago. A milk price of 25p/litre is generally regarded as the lower end of the average national cost-of-production figure, providing a further positive indicator of the state of UK dairy. “These latest Defra figures allow producers to be a little more comfortable in 2017,” said Luke Crossman, senior analyst at AHDB dairy. “There’s been a slight drop in recent wholesale prices, but it’s being viewed as more of a correction than a fall. Mr Crossman added, “Production will be the crucial factor in determining future price rises. After most political prognosticators so spectacularly botched their predictions during this year’s presidential election, forecasting the future feels even more treacherous than usual. With that in mind, rather than offer a prophecy for dairy exports in 2017, the following five points are more akin to indicators. These five factors will shape the strength of the U.S. dairy export supply opportunity in the new year. 1. The European Union (EU) spring flush. It took more than a year for EU milk output to respond to the global oversupply. Even as European commodity prices hit their lowest level in nearly a decade, farmers kept producing more milk, in many cases cushioned (at least temporarily) by processors offering additional support to maintain volumes at levels necessary to maximize the efficiency of manufacturing investments made in the run-up to quota removal. After 14 straight months of year-on-year milk production gains, EU dairy farmers finally bowed to persistently negative market signals in June 2016. Milk production declined 1.8% from June-September, compared to the previous year. That trend is likely to carry through the fourth quarter, particularly given that farmers fully subscribed to the bloc’s voluntary milk reduction scheme, which pays them to produce less milk in October-December (with a small bit of spillover into January). Simply signing up for the scheme does not bind them to reduce output, but many are doing so already anyway. Heading into 2017, however, the picture becomes less clear. EU farmgate prices are rising—up 10% from July-October—and all that new stainless steel didn’t just disappear. European butter, powder and cheese prices rose 22-68% since their trough in the spring. 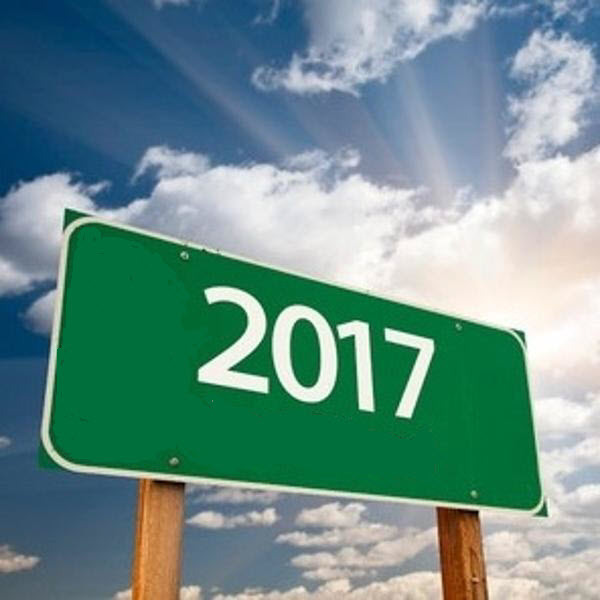 The question is: Will the turnaround be enough to reinvigorate farmers in 2017, particularly in those states that contributed the biggest gains over the past two years, including Denmark, Ireland and the Netherlands. While New Zealand production remains an important swing factor, the EU is the 800-pound gorilla in the room. A 1% shift in EU milk production equates to 1.5 million tons of milk. Ongoing declines and shrinking global shares, have made incremental production shifts in Argentina and Australia less impactful. 2. Demand headwinds. Global dairy demand will face some headwinds in 2017 as products grow costlier than 2016. International commodity prices are rising and will begin to filter through to consumers at the retail level. Recent forecasted increases in the value of the U.S. dollar could exacerbate the hikes. Since the U.S. presidential election, the U.S. dollar has strengthened considerably, rising 2-8% against the currencies of major U.S. dairy buyers and main competitors. For many, it was a change of direction. While the Chinese renminbi and Mexican peso had been depreciating much of the year, other currencies had actually gained on the dollar in 2016. The U.S. dollar index reached a 14-year high shortly after the election, and economists now believe it will rise higher under the new administration. The main area of concern for a rising dollar is the potential impact it has on overall demand from major importing nations. Because dairy trade is denominated in U.S. dollars, a strong dollar could lift import prices that will eventually work their way through to consumers and potentially deter consumption. That can curb demand growth, and that would be bad for dairy exporters from all countries. Oil prices could further restrict demand in oil-producing nations. The two-year slump in oil prices has strained economies across the Middle East, in Venezuela and elsewhere, undercutting dairy demand. Oil accounts for about a quarter of Venezuela’s economy and 95% of its exports, for example. The nation, traditionally a major dairy buyer, has cut dairy import volume by nearly 75% over the past two years. OPEC members reached a compromise to cut production in late November, which could raise national incomes amongst many dairy importers, but that deal is contingent on non-members contributing to the reductions, an uncertain proposition to actually reduce global oil surpluses. 3. Dairy stockpiles. At the end of November, the EU was holding 355,000 tons of intervention skim milk powder (SMP), while an additional 70,000 tons of SMP and 75,000 tons of butter was housed under the bloc’s Private Storage Aid program. U.S. butter and cheese inventories reached record highs of 122,000 tons and 562,000 tons, respectively, at the end of September, while nonfat dry milk/skim milk powder stocks were almost 100,000 tons. Global milk production growth may be declining and commodity prices rising, but we are still facing a substantially well-supplied market. The question heading into 2017 is: Can those inventories be metered out without swamping the nascent market recovery we’ve seen over the past few months? We should get a taste for the global appetite for some of those stocks even before the New Year. This month, indicating it had seen adequate signs of dairy recovery, the European Commission decided to test the appetite for a limited volume—22,150 tons—of intervention SMP via a tender process. It is accepting bids through tomorrow, December 13. 4. U.S. trade policy. Any time a new president prepares to take office, questions arise about the incoming administration’s trade policy positions. President-elect Trump is no different. Although the president-elect repeatedly criticized previous free trade agreements (FTAs) during the campaign and brings with him potential trade risks (such as previous threats to impose punitive tariffs in key markets and launch FTA renegotiations), he also brings the potential beneficial prospect of new bilateral deals. Indeed, signs exist of interest in exploring a new set of bilateral FTAs in the near term. Given this combination of potential opportunities and possible challenges, USDEC will be providing information to the new administration with the goal of ensuring that current dairy trade continues to flow unaffected and that we harness the appetite to take a fresh look at U.S. trade policy by steering it in a direction that would be helpful to American agriculture, including, for instance, expanded work on enforcement issues to hold U.S. trading partners to their commitments. Much is at stake in 2017. U.S. dairy export competitors are not standing still when it comes to trade. The EU continues to aggressively pursue FTAs and, despite internal populist pressures in some markets, will likely keep going. Asian countries are discussing a possible regional agreement parallel to or in lieu of the stalled Trans-Pacific Partnership. Australia and New Zealand already have free trade agreements with China, and New Zealand and China recently announced plans to launch talks to expand their deal, including its dairy provisions. The United States needs to be active in moving forward itself in order not to get left behind. 5. China’s product mix. Chinese dairy imports jumped 15% on a milk-equivalent basis in the first 10 months of 2016 (compared to January-October 2015). While whole milk powder (WMP) volume—the product that cemented China’s place as the world’s largest dairy buyer—rose 18%, trade data from the past five years indicates that we are seeing an evolution of Chinese dairy demand. Chinese imports of fluid milk, cream, cheese and infant formula are well on their way to record years, with volume up 27-51%. Jointly, they accounted for 16% of China’s dairy import volume (milk equivalent) in January-October 2016. This marks the second straight year they held a double-digit slice of the pie—a clear shift from the aggregate 7% import share they averaged from 2012-2014. WMP still commands the largest share of the dairy imports—30% (355,128 tons) in the first 10 months. But that share is down from 45% and volume is down from 621,010 tons during the 2014 peak when China overbought. Few have doubts about China’s bright future as a dairy importer. But the mix of products it wants to buy appears to be shifting. Next year will provide further hints of its direction. Mexico’s U.S. dairy appetite. Despite significant depreciation of the peso in 2016, U.S. dairy exports to Mexico displayed surprising resilience. Most notably, U.S. milk powder shipments jumped 13% by volume in the first 10 months compared to January-October 2015, as the nation purchased 46% total U.S. milk powder exports. U.S. cheese exports to Mexico declined 4% through October, but the United States increased its share and Mexico remains the biggest U.S. cheese buyer by far. In all, Mexico accounted for 26% of total U.S. dairy export value ($1 billion) through the first 10 months, up from an annual average of 23% from 2010-2015. In 2017, the question will be whether Mexico’s dairy appetite will rise, particularly in the key U.S. sectors of milk powder and foodservice cheese, and whether U.S. suppliers will devote the focus and resources to defend and grow their share in this critical market in the face of rising competition from Europe and Oceania. New Zealand’s product mix. The bursting of the Chinese WMP bubble in 2014 drove home the reality that New Zealand had overcommitted to powder production. The nation, and most notably its near-monopoly dairy supplier Fonterra Co-operative Group, recommitted to diversifying output into pediatric nutrition, cheese, foodservice and other higher-margin products through both plant investment and product innovation. In other words, New Zealand is seeking to channel more milk toward products that compete directly with U.S. exports, rather than WMP where the United States is only a minor participant. The coming year will provide more hints as to how successful the country’s industry will be in producing those products despite the highly seasonal nature of Kiwi milk production and the gearing of its manufacturing toward powder. China regulations. China continues to evolve its food safety regulations to reduce the incidence of adulteration, contamination and counterfeiting that has undermined trust in the domestic food supply. Those attempts to shore up its food safety system have had far-reaching consequences for all dairy and food exporters looking to do business there, as evidenced by China’s facilities registration requirements. New e-commerce rules on infant formula and other dairy products are set to take effect in the spring of 2017. But the bigger question is, Might there be more changes in store? Milk prices got off to a disappointing start, as whole milk powder prices at the GlobalDairyTrade auction slumped. The GlobalDairyTrade index, which is based on the auction run by the giant New Zealand milk cooperative Fonterra, fell by 3.9% compared to the last event held two weeks ago. And prices for benchmark whole milk powder were down 7.7%, at an average of $3,294 a tonne. But cheddar prices extended gains, up 1.4% over the last fortnight, to $3,894, the highest level since July 2014. Whole milk powder prices at the auction are still up 49% year-on-year, reflecting a tighter world market, particularly in New Zealand, the world’s top exporter. In December Fonterra forecast its own milk collections, which comprise the majority of New Zealand, at 1,460m kilogrammes of milk solids, down some 7% year-on-year. The co-operative saw the reduction “reflecting very challenging conditions across most parts of the country”. “With season to date milk collection and peak milk volumes significantly impacted we expect these lower volumes to flow through the balance of the 2016-17 season,” Fonterra said. Part of the weakness is due to the fact that buying for the Chinese tax-free import window is done for the year. The Chinese government allows tariff-free dairy imports in Januarys, driving strength in the nearby-contract over recent auctions. But the trend for Chinese imports is upward, thanks to reduced stocks there. Over the 12 months to October, Chinese dairy imports were up 26% year-on-year, with whole milk powder imports up 17%. With cheap grain for feeding and a growing export market, US dairy farmers are looking forward to a strong 2017. Forecast for 2017 milk have been raised by 75c (1.57c/litre) to $16.75/100 pounds or 35.16c/l by the United States Department of Agriculture (USDA). Milk futures on CME for January to June 2017 contracts have increased by a similar figure. Dairy farmers in the US are looking at a more promising 2017 than other farming sectors. According to speakers at the National Agricultural Bankers Conference in November, dairy farming may be the only sector in US to break even. Replacement heifer prices continue to fall and are now trading at $1,690 (€1,609) per head, down by $40 since August but down by $290 (€276) from the same period in 2015. US dairy farmers are experiencing problems attracting workers, and that is before Donald Trump deports all the Mexicans, as the jobless rate fell to a nine-year low of 4.6%. Fifteen million people have been added to the US workforce since 2010. In Class III trade at the Chicago Mercantile Exchange, milk futures were higher, bouncing back from a couple of mixed, mostly lower, sessions, supported by good demand expectations. December was up $.02 at $17.34, January was $.24 higher at $17.19, February was up $.19 at $17.33, and March was $.14 higher at $17.49. Cash cheese was lower. Blocks were down $.01 at $1.79. There were a total of three loads sold, two at $1.775 and one at $1.80. The last unfilled bid was on one load at $1.79. Barrels were $.015 lower at $1.685. There were six loads sold, including three at $1.70 and one at $1.685. The last uncovered offer was for one load at $1.69. Butter was $.0575 higher at $2.2475. There were six loads sold, including two at $2.20, two at $2.25, and one at $2.2475. The last uncovered offer was for one load at $2.27. Nonfat dry milk was up $.0025 at $1.0225. There were two loads sold, one a piece at $1.0075 and one at $1.02. The last unfilled bid was on one load at $1.0225. The last uncovered offer was for one load at $1.025. In Class III trade at the Chicago Mercantile Exchange, milk futures were mixed on spread trade and consolidation. December was up $.02 at $17.25, January was down $.04 at $17.09, February was $.07 lower at $17.41, and March was down $.01 at $17.57. April through July 2017 closed higher. Cash cheese blocks were unchanged at $1.7575. There were five loads sold at $1.7575. Barrels were up $.035 at $1.715. There were a total of seven trades, from $1.68 to $1.715. Butter held at $2.085. The last unfilled bid was on one load at $2.075. The last uncovered offer was for one load at $2.11. Nonfat dry milk was $.025 higher at $.9975. There were a total of seven loads sold, five at $.98 and two at $.985. The last unfilled bid was on one load at $.9975. The last uncovered offer was for five loads at $1.00. Cooperatives Working Together announced the acceptance of 13 bids for export assistance covering 2.518 million pounds of Cheddar and Monterey Jack cheese and 440,925 pounds of butter. The products are headed to Asia, the Middle East, North Africa, and Oceania with delivery scheduled for December of this year through March of next year. In Class III trade at the Chicago Mercantile Exchange, milk futures were supported by technical buying and expectations for good manufacturing demand. December was up $.02 at $16.94, January was $.09 higher at $16.52, February was up $.18 at $16.52, and March was $.17 higher at $16.48. Cash cheese was lower. Blocks were down $.02 at $1.76. There was one load sold at $1.76, along with three loads sold at $1.7525. The last unfilled bid was on one load at $1.76. Barrels were down $.02 at $1.635. There were a total of six trades, three at $1.645. The last uncovered offer was for one load at $1.635. Butter was $.13 higher at $2.23. There were a total of six trades reported, ranging from $2.10 to $2.23. The last unfilled bid was on one load at $2.20. The last uncovered offer was for one load at $2.25. Nonfat dry milk was up $.0375 at $.9575. There were two loads sold, one at $.92 and one at $.95. The last unfilled bid was on one load at $.9575. The USDA says butter for the week ending November 26th averaged $2.00 per pound, up $.055 from the previous week. 40 pound blocks of cheddar were pegged at $1.90, $.076 higher. 500 pound barrels averaged $1.79, up $.011. Dry whey came out at $.377, $.003 higher. Nonfat dry milk averaged $.918, up a half a penny. California’s Department of Food and Agriculture says nonfat dry milk for the week ending November 25th averaged $.9108 per pound, down $.0163 on the week, with sales of 5,646,530 pounds, a drop of 1,729,938, the lowest level since late October. U.S. milk prices improved in November. U.S. milk production is running ahead of last year’s pace, but domestic pre-holiday demand for cheese and butter is good and some export competitors have reduced production levels in response to lower global prices earlier in the year and declining demand from China. The USDA says the price of Class II milk, used in perishable manufactured products, was $14.60 per hundredweight, up $.51 from September. For Class III, used to make cheese, the price of $16.76 was $1.94 higher. Class IV milk, used to make butter and dried products, was pegged at $13.76, up $.10. Futures prices for whole milk powder (WMP) have hit a ceiling in the last week despite continuing evidence that New Zealand milk production is declining. The latest import figures from China show the country’s appetite for whole milk powder (WMP) has continued to tail off in the last couple of months. For October, Chinese imports of WMP declined 11% compared with last year to below 10,500t. This is the second consecutive month of declining Chinese WMP imports following the sharp decline (-47%) in imports seen in September. Despite these two months of declines, Chinese WMP imports for the year to date are still running 18% ahead of this time last year at more than 355,000t. 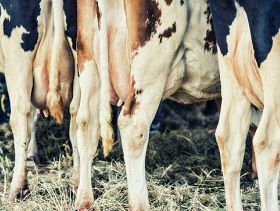 The overall Price Index at the Global Dairy Trade (GDT) auction climbed 11.4 per cent this week, its largest increase since August, according to UK levy board AHDB Dairy. This was mostly driven by a 19.8 per cent rise in the Whole Milk Powder (WMP) Price Index, with WMP making up nearly half of the product sold. Recent reductions in New Zealand milk production forecasts are likely to have helped drive up WMP prices this week. Fonterra has reduced its forecast volume for the 2016/17 season (ending in May 2017), taking it to 6.2 per cent below last season. Its milk collections for June to September were 2.9 per cent below last season and early October volumes in some regions are significantly down due to wetter than normal spring weather. As a result, Fonterra says it does not expect production volumes to recover for New Zealand’s seasonal peak in October. Off the back of this, Fonterra has reduced its forecast offer volumes for New Zealand product on GDT over the next twelve months. In addition, volumes at this week’s event were already around 20 per cent lower than this time last year and 40 per cent below the five-year average. Therefore, less product on offer, combined with concern about upcoming volumes appears to have put upward pressure on prices. The latest NZX futures market points to an 8-10% rise in whole milk powder (WMP) prices at tomorrow’s Global Dairy Trade auction, New Zealand bank ASB has said. Last week, WMP futures prices broke through the US$3,000/MT barrier and look set to remain above that barrier until July. Futures prices for October WMP contracts at the latest NZX futures market suggest that WMP will trade at US$3,120/MT. As reported last week, these positive futures prices could point to a fourth consecutive price rise at tomorrow’s Global Dairy Trade. The last three Global Dairy Trade auctions have all been positive auctions, up 7.7%, 12.7% and 6.6% respectively. At the most recent auction, the main movers being anhydrous milk fat (AMF) (+15.4%) butter (+14.9%) and skimmed milk powder (SMP) (+10%). Following these positive auctions, farm organisations have said that dairy farmers would expect legitimate increases in the August milk price and several Irish co-ops have increased the milk price for August supplies. Last week, it was announced that farmers supplying Arrabawn will receive a base milk price of 25.67c/L for August while Dairygold is to pay its suppliers an August milk price of 24.5c/L plus a Quality Bonus (0.5c/L) and VAT. Lakeland Dairies also announced a milk price rise last week of 1c/L bringing the base price to 25c/L and Kerry increased its milk price for August supplies of milk by 2.5c/L, which will see member suppliers receive 25c/L, including VAT, for August milk. Meanwhile, Glanbia member suppliers will receive 25c/L for August supplies, which includes a 2c/L Glanbia Co-operative Society support payment to its members. In Class III trade at the Chicago Mercantile Exchange, milk futures were lower on another round of technical and commercial pressure. Seasonally, milk production is ramping back up and global export demand for U.S. dairy products continues to be a big question mark. September was down $.02 at $16.34, October was $.33 lower at $15.74, November was down $.23 at $16.01, and December was $.12 lower at $15.88. In the spot market, cash cheese was lower. Blocks were down $.0625 at $1.5875. There were three loads sold, ranging from $1.63 to $1.635. The last uncovered offer was for one load at $1.5875. Barrels were $.005 lower at $1.475. There were a total of ten loads sold, ranging from one at $1.475 to two at $1.50. Butter was down $.0375 at $1.9675. The last uncovered offer was for two loads at that price. Nonfat dry milk was up $.01 at $.92. There was one trade at that price. The last unfilled bid was on two loads at $.92. The last uncovered offer was for one load at $.95. 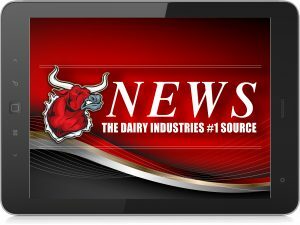 Michigan based Continental Dairy Facilities says it is adding butter and buttermilk powder production. That follows a $50 million expansion and will add ten jobs to the more than 100 person workforce. Continental produces more than 300,000 pounds of nonfat dry milk a day. It’s owned by Select Milk Producers, the fifth largest U.S. dairy co-op with 90 dairy farmers in Indiana, Michigan, New Mexico, Ohio, and Texas. Dairy markets have continued their positive trend this week, with prices for nearly all commodities lifting. Dairy markets continue to improve as the slowdown in EU milk production registers across the globe. In Europe, average quotes for butter have risen a further 7% in the last fortnight close to $3,700/t, while cheddar prices are up more than 3% to $3,160/t. The EU’s intervention scheme is also beginning to impact the market in a positive way. With more than 350,000t of skimmed milk powder (SMP) now in storage, the market has tightened up a little, with available stocks lighter on the ground. In Class III trade at the Chicago Mercantile Exchange, milk futures were higher, bouncing back to start out the new month. Contracts lost a significant amount of ground in mid-to-late August on a technical reversal. September was up $.31 at $16.77, October was $.26 higher at $16.84, November was up $.25 at $16.56, and December was $.15 higher at $16.15. In the spot market, cash cheese blocks were unchanged at $1.68. Barrels were $.005 higher at $1.63. There were a total of six trades, including two at the closing price. The last uncovered offer was for one load at $1.64. Butter was $.015 lower at $2.065. The last unfilled bid was on one load at $2.06. The last offer uncovered was for one load at $2.065. Nonfat dry milk was up $.005 at $.86. The last unfilled bid was on one load at that price. The USDA reports that for the week ending August 27th, butter averaged $2.22 per pound, down 2.3 cents on the week. 40 pound blocks of cheddar were pegged at $1.81, up 3.3, and 500 pound barrels averaged $1.91, 2.5 higher. Dry whey was pegged at $.293, an increase of 1.1 cents. Nonfat dry milk averaged $.866, a tenth of a cent lower. The USDA announced the Class II price for August was $15.21 per hundredweight, up $.05 from July, the Class III price, at $16.91, was $1.67 higher, and the Class IV price, at $14.65, was down $.19. For July, the USDA says the dairy prices received index was 80.1, up 6.5 from June, but down 3.0 from July 2016. The livestock production and food commodity indices were down on both the week and the year. The milk received index was $16.10 per hundredweight, $1.30 higher than a month ago, but $.60 lower than a year ago. Seasonally adjusted, the July price for milk was $16.60 per hundredweight. The state with the highest milk price was Florida at $19.00 per hundredweight and the lowest was California at $14.94. The fat test, at 3.65% was down fractionally from last month, but up fractionally from last year. The highest fat test was in South Dakota at 3.91% and the lowest was New Mexico at 3.43%. Producers received $1,730 per head for milk cows and while a month to month comparison was not available, the year to year decline was $300. Colorado had the highest price for milk cows at $1,900 per head and the lowest was in Pennsylvania at $1,550. The milk-feed ratio is 2.14 pounds of 16% mixed dairy feed to one pound of whole milk, a month to month and year to year improvement. In Class III trade at the Chicago Mercantile Exchange, milk futures were up on an oversold bounce. September was up $.05 at $16.60, October was $.10 higher at $16.62, November was up $.11 at $16.39, and December was $.10 higher at $16.07. Over in the spot market, cash cheese was lower. Blocks were down $.02 at $1.71 with one load sold. The last uncovered offer was for one load, also at $1.71. Barrels were $.0175 lower at $1.625. There were a total of five trades, one at the closing price. The last unfilled bid was on one load, also at $1.625. The last uncovered offer was for one load at $1.64. Butter was up $.0525 at $2.11. There was one load sold at $2.11, along with three at $2.10. The last unfilled bid was on one load at $2.08. Nonfat dry milk was steady at $.855. There were three loads sold at that price. The last unfilled bid was for two loads at $.85. The last uncovered offer was for one load at $.86. Cooperatives Working Together announced the acceptance of eight requests for export assistance. That acceptance covers 1.830 million pounds of Cheddar, Gouda, and Monterey Jack cheeses and 110,231 pounds of butter from DFA and Darigold. The products are headed to Asia, the Middle East, and Oceania from August through December of this year. In Class III trade at the Chicago Mercantile Exchange, milk futures were mostly higher with the most active months responding to the Global Dairy Trade numbers. August was down $.01 at $16.99, September was $.17 higher at $17.39, October was up $.21 at $17.11, and November was $.15 higher at $16.75. Over in the spot market, cash cheese was unchanged. Blocks held at $1.78. The last uncovered offer was for one load at that price. Barrels were steady at $1.865. The last uncovered offer was for one load at $1.875. Butter was down $.01 at $2.24. There were a total of four trades reported, three at $2.28 and one at $2.24. The last uncovered offer was for two loads at $2.24. Nonfat dry milk was up $.0175 at $.8425. There was one load sold at $.84. The last unfilled bid was on one load at $.8425. The last uncovered offer was for one load at $.85. The Global Dairy Trade Index Tuesday shot higher, up 12.7% to $2,731 per ton. All commodities were higher, with whole milk powder up 18.9% and butter milk powder 18.1% higher. The next GDT auction is scheduled for Tuesday, September 6th. Cooperatives Working Together announced the acceptance of 13 requests for export assistance. The assistance covers 1.5 million pounds of Cheddar, Colby, Gouda, and Monterey Jack cheeses. The exporters are DFA, Darigold, and the Tillamook County Creamery Association. The products are headed to Asia, Central America, the Middle East, and North Africa with delivery slated from August through December 2016.